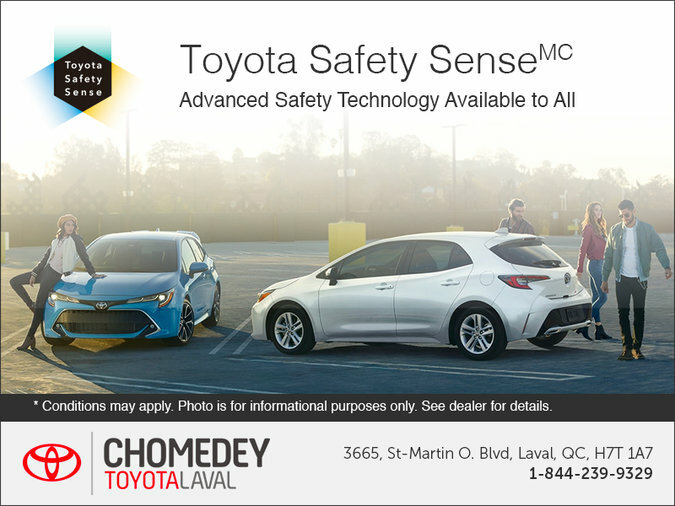 Discover the Toyota Safety Sense program at Chomedey Toyota Laval! Take advantage of advanced and accessible security technologies that let you to hit the road with peace of mind. Visit us today and book your test drive!